So, what are we going to talk about today? Well, I thought about it and decided that I ought to mention something that I bet few people know about, but that will effect more people that expected. 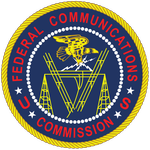 I’m talking about the FCC deciding that they should sell off a portion of the wireless mic spectrum to make space for wireless broadband and cell phone uses. What makes them think that they own and can sell something that isn’t tangible and isn’t theirs or even own-able in the first place? And what about people that already own equipment that operates in the affected spectrum? Are they just out of luck? Now they have to buy new equipment until the FCC decides to screw them over again? What gives the Government that kind of power? The kind of power to arbitrarily do something like this? I’ll tell you want! The sheeple. That’s right, we the sheeple of the United Herd of America. No one will stand up to or complain about things that makes sense. Oh yeah, half the country goes batshit crazy because of something Trump did years ago, but when our rights and freedoms get taken away all we get are tumbleweeds. Wake up America.